It has recently been announced that National Massage Day (NMD) is to be held on 1 October, from 2018 onwards. Originally hosted by Gill Tree, NMD is now owned by Liz Badger, founder of The Therapist Business Club, who has launched a new Pro-Touch Awareness Month, to coincide with the same start date. In collaboration with Massage World Magazine, NMD and Pro-Touch Month will be celebrated at the National Massage Championship, which FHT Vice President Mary Dalgleish is helping to judge, on 1 October at Olympia Beauty, London. Free entry tickets to the event are available here. 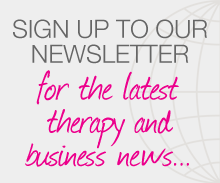 As hosts of NMD and Pro-Touch Awareness Month, The Therapist Business Club will be gifting the first 100 visitors to each of their collaborator stands – including Massage World Magazine and Holistic Therapist Magazine – one months’ free access to all expert content on their website, plus one month’s access to their Facebook group. There will also be an on-line platform of information launched on 1 October that will be freely available on The Therapist Business Club website, to help raise awareness of the many therapies that can help to support clients living with a range of conditions. Content will include videos, podcasts, client testimonials, blogs and articles, some of which have been contributed by the FHT. Finally, a special Facebook group has been launched to celebrate NMD and Pro-Touch Awareness Month. The aim is to build a collective and supportive environment, raise awareness and share experiences that highlight the benefits of hands-on therapies and positive touch. Posted on 18 September, 2018 by Federation of Holistic Therapists (FHT). This entry was posted in archive, health and tagged health. Bookmark the permalink.